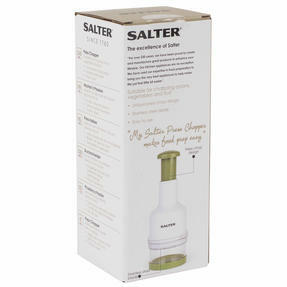 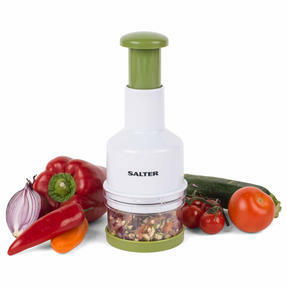 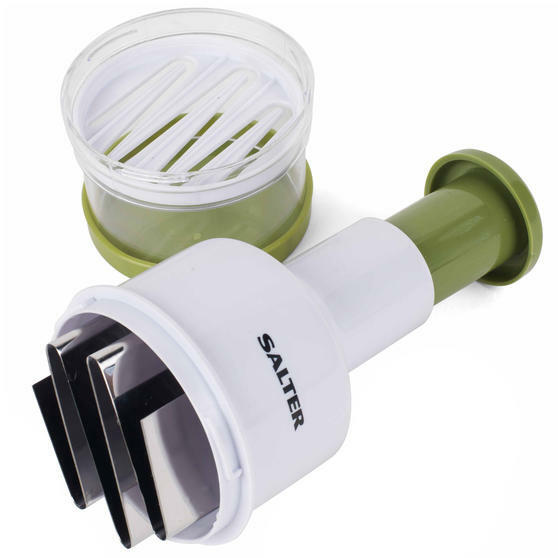 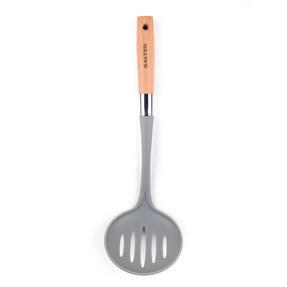 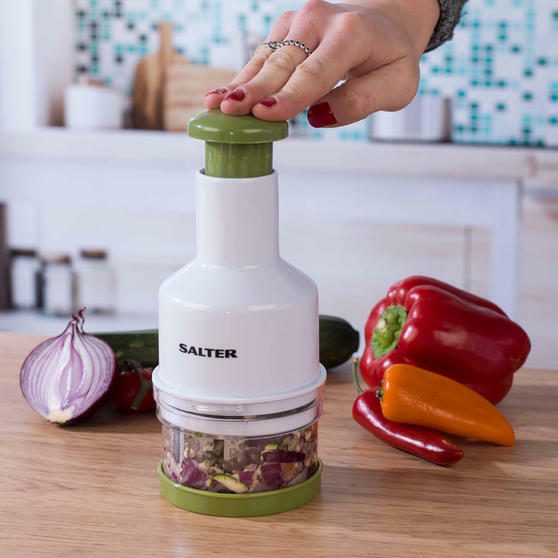 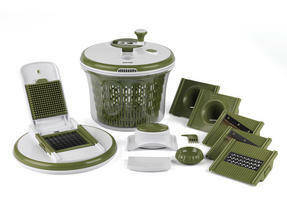 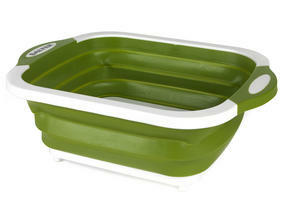 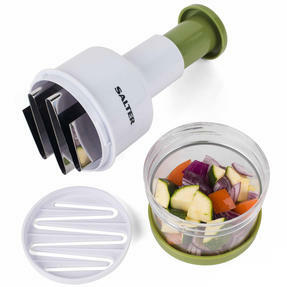 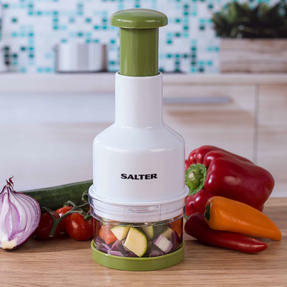 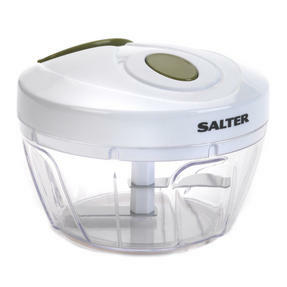 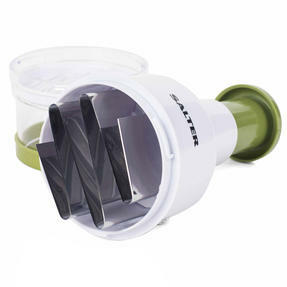 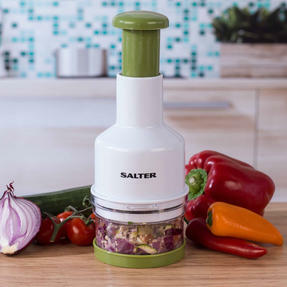 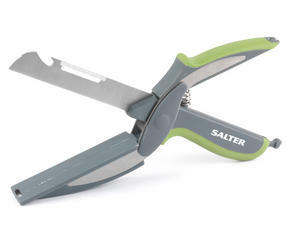 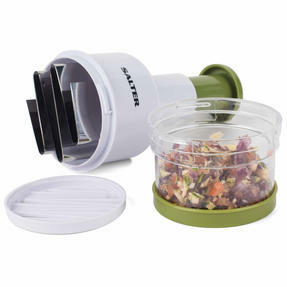 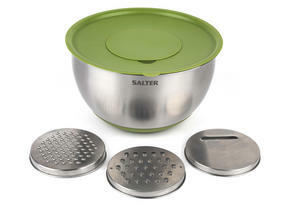 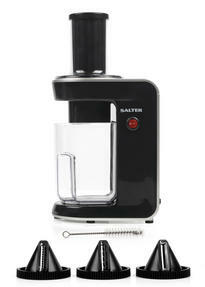 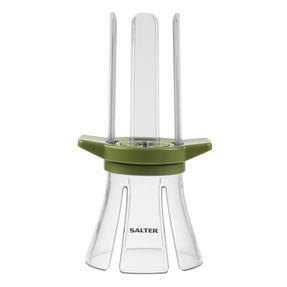 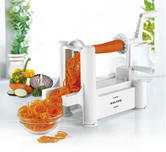 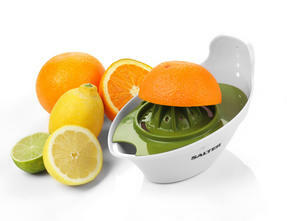 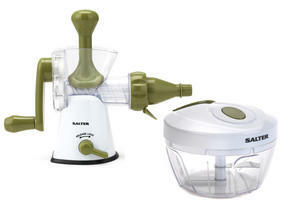 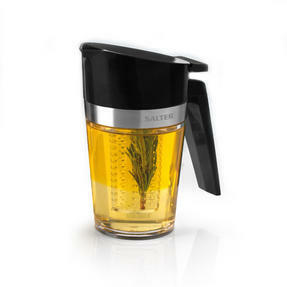 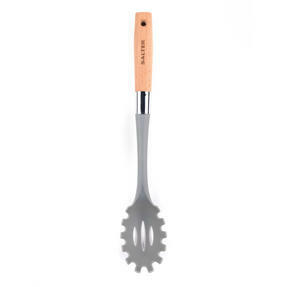 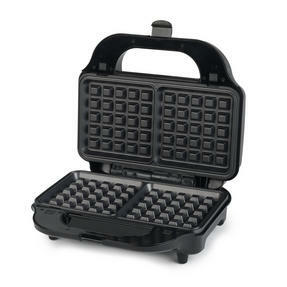 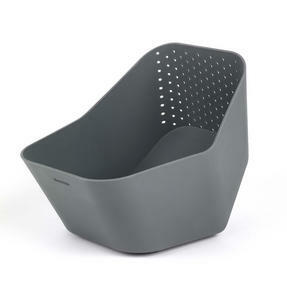 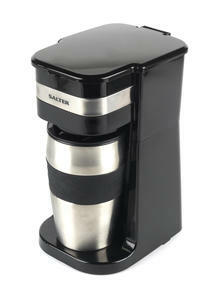 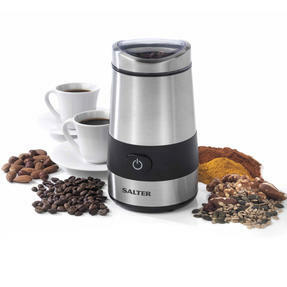 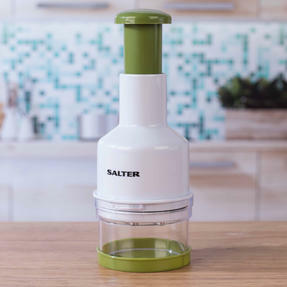 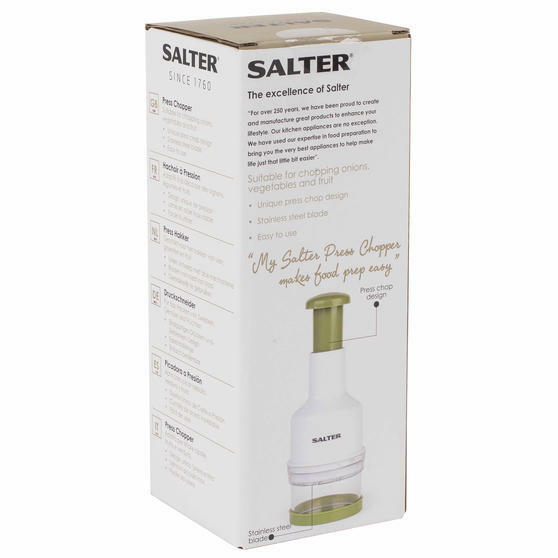 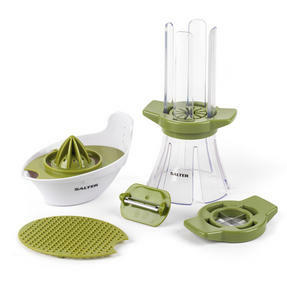 Chop fruit and vegetables with no mess, fuss or hassle using this Salter press chopper. Simply place the food into the bowl and replace the base cap then firmly press the top down to allow the stainless steel blade to fully slice the fruit or vegetables. 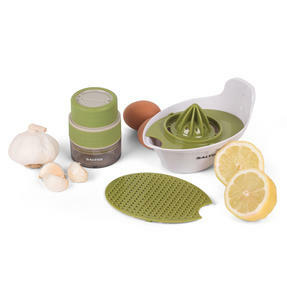 Far easier and safer than using a knife and chopping board, the press chopper will keep the food contained during use to save on the cleaning up and will enable you to slice onions, garlic or chilli without any lingering smells on your hands. 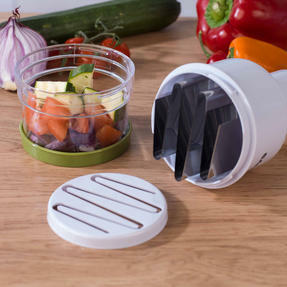 Place fruit and vegetables like onions or kiwi into the bowl then press the top down to slice the food using the stainless steel blade. 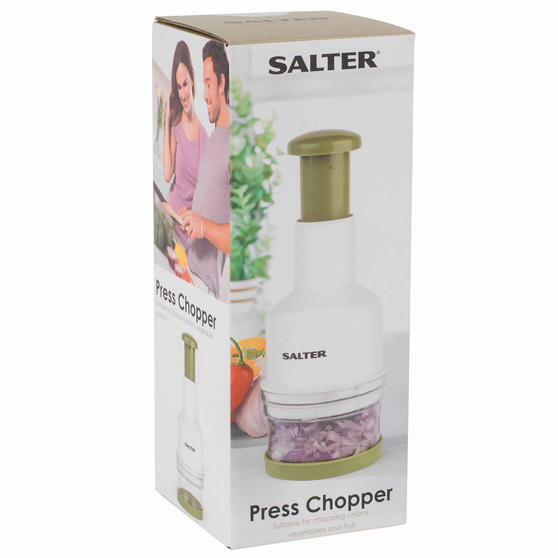 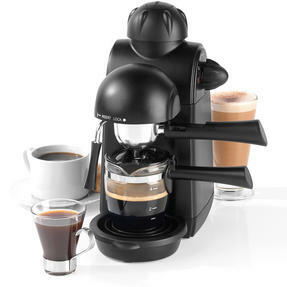 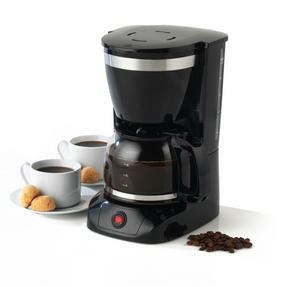 Measuring 8.2l x 8.2w x 22.5h cm, the smart looking green and white press chopper is easy to store away in a cupboard between uses. 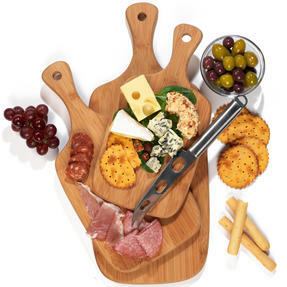 The press chopper is wonderfully quick and easy to use, making it far faster and safer than a traditional knife and chopping board.